This entry was posted on 2015-08-26, 07:50 and is filed under Machine Shop. You can follow any responses to this entry through RSS 2.0. Both comments and pings are currently closed. You could try looking for Rapido-Eze pen cleaner at your local art store. 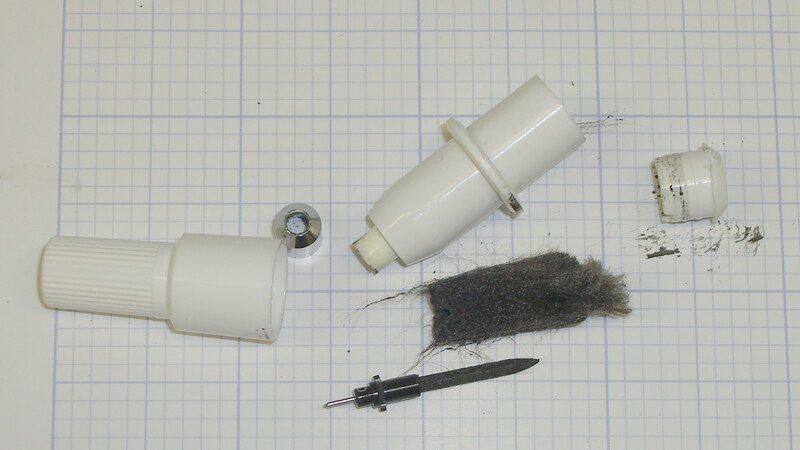 A small container is about $4, it’s designed for this sort of task, and has been known to work wonders for cleaning old hardened ink out of technical pens. I have no idea what kind of ink might be inside the plotter pens, but the solvent can’t possibly make the dried-up ones any worse: thanks for the suggestion! Yes, when the remaining option is to give up and throw something away, all sorts of things become worth a try for people like us.